The star of Aldi’s Christmas ad, Kevin the carrot, has triggered frenzy among shoppers vying to buy plush toy versions of the character. There are two sizes of the toy – a small one on sale for £3.99 and a bigger version for £19.99 – and both are sold out on Aldi’s website. There were also reports of long queues and fights breaking out at Aldi stores among adults trying to get hold of one, according to the BBC. Some customers have taken to social media to complain about depleted supplies, with one Twitter user reporting that the toys were sold out by 4am. An Aldi spokesperson said: "Demand for our Kevin the carrot toys has been exceptionally high. To avoid any disappointment, this year we increased the range by adding new characters such as Pascal the parsnip, as well as the amount of soft toys available in each store. "We also limited purchases to two variants per customer, so as many people as possible had the chance to buy these products. As with all our Specialbuys products, these are only available while stocks last." This is the third year that Aldi has used Kevin the carrot in its Christmas campaign. 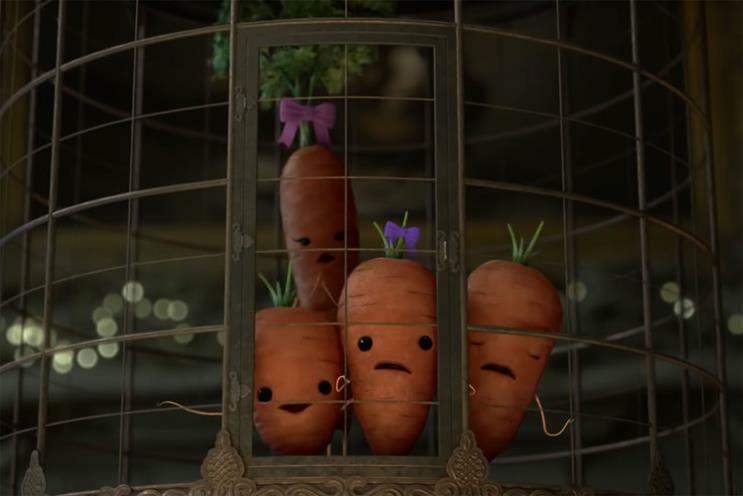 In the latest spot, created by McCann UK, Kevin saves his family from the evil Pascal the Parsnip.